“How to Convert Twitter Account to Business” written by Mike Marko. Do you have a personal Twitter account… and now are you looking to convert Twitter account to business account? Many business industries have taken advantage of Twitter as a social media platform to promote their products and services. Those that don’t take advantage of Twitter risk being left behind! But don’t worry it’s very easy! Today I’m going to show you how easy it is to learn how to convert Twitter account for business. Are you ready to convert Twitter account for business? If you already have a personal account created and set up already, it’s pretty easy to convert it for business. Once you already have a Twitter account, you can simply convert it into a Twitter business account instead of creating new one. All you have to do is start by logging in using your personal Twitter account username and password. Once you’re successfully logged in then you can start editing your account information…. If you are using your name (or a goofy name) for your Twitter account username, and want to change it to your business name or something more professional, that’s not a problem! After logging into your account, click on the gear icon on the upper right. This will take you to profile and settings. From there you will have access to all of your account information. From here you can edit your Twitter username to your business name. Using a username that reflects your business will help make your Twitter account more professional. Your potential customers will see that your business account is real and not amateurish. The trick is sometimes is to make sure that when you eliminate spaces between words in the business name that you don’t make the business name difficult to discern easily. Just below the username field is the email address field. You can also change your email address to match your business email. On this same page you can also add in your business location. You can also indicate your country just below the content tab. Now that you have change your Twitter account information to match your business, go ahead and start editing your profile. This is the page where your followers will see once they visit your profile. To begin, click on your profile photo on the upper right corner which is just beside the Tweet icon. Click on your name and you will be redirected to your profile page. Once you are under your profile, you can now begin changing it. Click on the edit profile button which is on the right side of the page. This will then highlight all options that can be changed. This will include your profile photo. Make sure it represents your business or use your business logo as an example. You can also have the option to change the header photo. This is similar to Facebook cover page where you can add a photo to give more emphasis to what your business offers. Below your profile photo is where you can change your Twitter name, bio, location, website, birthday and also theme color. Have your Twitter name match your Twitter username to avoid confusion, and instead provide consistency. The bio is a brief description of your business. This is where your followers will get an idea of what your business is all about. This is limited to 150 characters, so make it count. I like to add in a couple hashtags (don’t go crazy) to help make the Twitter page stand out for some important keywords. Next is location: just like changing it on settings. If your business has a physical address, then go take advantage of this feature. This is for your followers who are interested about your business and want to locate your location. Even those who are not too interested may also end up visiting your store if they see that it is just near their location. If you have a virtual business, then you can use the address field to add a call to action like Click The Link Below to get people to click your website link. Add your website to redirect your customer to your landing page where they will get to know your business more. Change your theme color according to how you want your profile to feel and look like. Try to pick colors congruent with your website and social media branding. Lastly, you can edit your birthday. Since this is a business account, use the date when your business was founded. This is for your followers to know how long your business has been around. After all these changes, don’t forget to click save changes. Finally, after converting your personal Twitter account for business, you’re now ready to start promoting your products and services. Go start tweeting updates about your business. Start following people and get more engagement with your followers. These basic steps will help you grow your business. As you have more time, start to experiment with additional features like lists and search filters. All these will help you find and attract potential clients. There you have it! By now, you should have completely converted your personal Twitter account to a business account. Converting personal twitter account to business is pretty simple, right? Be sure to also read my blog about the Key Tips On Using Twitter To Market Your Business to help you really start to take advantage of Twitter for your business. Do feel free to tell me your own thoughts and advice in the comment section below. I would love to hear you about my article on how to convert Twitter account to business. If you want help in building up your Twitter account, feel free to contact me and we can talk about the different services we offer. 2. Why Use Twitter For Business? If you want a system to help you rank in Google just like I do, then check out Influx Entrepreneur. Please also check out working with us as your SEO Agency Cincinnati. “How To Get More Engagement On Instagram” written by Mike Marko. Are you looking to learn how to get more engagement Instagram? Instagram as a top of the line social media app continues to grow its community with over 2 billion active users each day. With over 400 million Instagram users daily there’s no doubt this is the best social media platform. Starting a business on Instagram could be a very effective marketing strategy for your business. Many businesses are already using Instagram as a way to reach more customers online. If you want to be one of them, then you should get to know the basics to make the most of this powerful platform. But without engagement on your Instagram account… well… it becomes dead weight. That’s why today I want to give you these quick and easy steps on how to get more engagement on Instagram. With a lot of businesses that are already on Instagram, gaining followers on this platform will not happen spontaneously. It requires some hard work and effective strategies. If you have no idea about where to start, here are six actions you could do to answer your dilemma about how to get more engagement on Instagram. A “call to action” (or CTA) is what Instagram marketers use to get the attention of their followers. It is an easier and faster way to get more engagement with your target audience. In the CTA you can tell them to like, share, or comment on the image. A CTA can be added in the caption of the image or create images with the text built right in. Once a follower sees your post, they will much likely click on it – or double tap which will automatically result to a like. You can also have your followers tag your post with a person that have the same interest. That way, you can get more followers to jump on board. Hashtags have shown to be one of the most helpful tools that will entice individuals to follow your account, as well as share information that will strengthen the main topic further. You can search for the hashtag topic on the search box which will lead you to a listing of topics that match the search. Clicking on the hashtag in post is another way to be taken to these search results. Using hashtag should be strategic. A It should have something to do with what you want to communicate OR be used to help attract a particular person to your post. A Also, avoid lengthy hashtags as this may be difficult to read and understand. You can use several hashtags in one post. I presently recommend between eight and fifteen per post. When you do this, you can use both specific hashtags and general hashtags. By using a variety of hashtags you’ll increase the likelihood of being seen by your target customers. 3. Be Creative with your Captions. Instagram as a photo-sharing app primarily uses photos as part of the post. But it’s not really just about the photo or video you share. The quality of the post is also about the captions you use. A caption should be a brief explanation about your post and having a good caption means getting more potential customers. Keep in mind that the word caption can be derived from two separate words”capture” and “attention”. To make it short, a caption is used to capture the attention of your followers. A good photo along with a good caption will lead your followers to like your post, comment, tag friends or even share it. This way you will be reaching out a wider range of target audience and gain more followers. 4. Always Be Active On Instagram. Staying active on Instagram should be your main goal. It’s the main reason why your followers follow you because they want to be updated on what’s happening in your business. If you rarely post you’ll lose followers and their interest. You will need to build a connection between you and your followers to keep them interested in your products and services. You can also follow accounts and interact with their content. It’s the most natural way to draw attention to your own Instagram account while you also get inspiration from others’ content. Once you follow them, they will get a notification and you’ll get your account a chance to be viewed and be followed back. It also means that you’ll be seeing their recent posts in your feed, so you can Like and interact with them as much as possible. 5. Share Your Instagram Posts On Your Other Networks. The good thing about social media is you can cross market your business from one social media platform to another. That means more chances of getting more followers and reaching out to a larger target audience. So if you have Facebook or Twitter, you can have your Instagram post shared to those as well. When you post a photo, you will have an option to share it to your other accounts. Once you choose to share, that post will be automatically shared to that social media account. Your followers from that platform will then find out that you have an Instagram account. Who knows, they might create an Instagram account just to follow you. Your followers from other social media who are also existing Instagram users may also end up searching and following you as well. Additionally, you get to save more time and effort marketing your business. Imagine using just one social media account to post your content and instantly share it to your other social media accounts. 6. Know The Right Time To Post. It is important to know when the best time to post. You need to know the peak hours of your customers: when they typically check out their Instagram feed. Most Instagram users check their accounts in the morning, and in the evening. They also tend to check it on their way home from work or school. Optimal posting time stands around 8 am and 5 pm, the starting and finishing time of a standard day of work. Once your account is running for a while, you can use tools like Iconosquare to monitor your followers’ habits. Remember: posting a lot of photos or videos within a day but not posting on the right time would only waste your time and effort. You now know how to get more engagement on Instagram. With the growing popularity of Instagram, it helps to tap into the growing popularity of Instagram. You can reach a wide range of target audience and get more followers. You can also promote your products and services through photos you post and share across other social media platform by linking your accounts. And with these tips, you can improve your overall Instagram engagement and get the most of your efforts. So get started… and check out the blog post, How to Use Instagram Effectively. Let me know if this article helps you by commenting below. 2-Â Why is Instagram Good for Business? 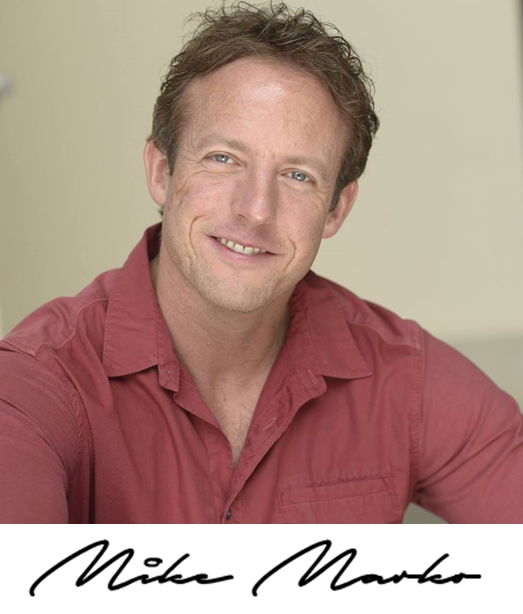 “Key Tips On Using Twitter To Market Your Business” written by Mike Marko. Are you looking learn more about Twitter, and ultimately determine how to go about using Twitter to market your business? When we started marketing online, we didn’t pay Twitter too much attention. We were primarily focused on Facebook because that was what we knew. Twitter is a great way to help build a business using the internet. It’s one of the best social media platforms if you’re trying to reach a national or worldwide audience. What makes it more attractive is that users on Twitter are more active than any other social media platform, but there are a lot more Twitter benefits. Twitter can be a powerful tool to help online store owners grow their business. Without investing too much time or money, you can easily drive traffic to your ecommerce store. Statistic show that there are 317 million active monthly users of Twitter with over 500 million tweets sent per day. In this blog post, you will learn Key Tips on Using Twitter To Market Your Business. This is where you tell people about your business, who you are, and what you do. Establishing a good identity can gain customers to start following you on Twitter. This is also the chance where you can link your Twitter account to your company website or landing page. Remember to sound consistent to avoid giving out confusion to your customers. This is for them to clearly understand what your business offers. This would include your username’s similarity to your business name. Your business name should also be the same name to your other business social media accounts. Twitter uses two different images that you can use to represent your business account. It’s similar to Facebook where you can see a profile picture and a cover photo. It’s important to take advantage of both of these images to tell your business story. A glimpse of these photos in your profile will allow people to identify who you are and what kind of business you have. A profile photo is what will show in every tweet you post. You can either use your company logo or your head-shot for your profile photo. A profile header is a large background photo that can tell a story about your brand. Twitter allows you to customize the background of your profile which will show once your customer visits your profile account. You can create a graphic file so it matches your business branding. You upload this image under Design in your profile settings. Together, they can create a wide impact to the success of your business. Each field where you can put vital information about your company plays a very important role to your success. It gives more details about your business that helps to build your business story. First, let people know where they can find you. Indicate your location under profile settings location field. This way followers who are interested in your business and product offers can visit you. Second, enter your business website or landing page. Your website would include all the information not shown on your Twitter account. This would allow your followers to get to know your business better. This is also a great way to cross-market from one site to another. Lastly, tell people who you are and what you do. This is where you can give out a brief introduction about your business. You only have 140 characters to do this, so make the most out of it. If you are new to twitter, give yourself some time to learn and observe how others do this. You can start tweeting anytime as you get your bearings. Use the Tweet function to post news, events, ideas and anything else that you want to share with your followers. Make it fun and interactive and always try to connect with them. The reason why people follow you is because they are interested in your business. This means you need to tweet in a regular basis as this is to show people your business profile is active and healthy. You can schedule tweets each day and at specific times that work for your followers. One of the best things about hashtags is that it allows you to create communities of people interested in the same topic by making it easier to find and share related information. It doesn’t take much hashtag research to get the appropriate hashtags for your business. Hashtags allow you to track all the conversations created for your business. Hashtagged words that become very popular are often trending topics. Retweeting is a quick and easy way to share interesting topics from other Twitter users. What you should retweet is something that should benefit your business and has something to do with it. Like hashtags, retweets are a community-driven phenomenon on Twitter that helps make the service better and allow people to spread discussions easier. One of the best things about Twitter is how well you can engage with others. You can do this by asking other users for Retweets, follow backs or answers to your questions. Engage with your followers and respond to their queries as soon as you get them. This is to increase customer satisfaction and provide better customer service. There you have it! We’ve covered how to go about using Twitter to market your business. There are so many things you can get from Twitter. Twitter has a lot of the features that can help you grow your business. And please feel free to tell me your own thoughts and advice in the comment section below. 1. Why Use Twitter For Business? “How To Create Business Account On Instagram” written by Mike Marko. Are you a business owner seeking for a better opportunity to market your products online? 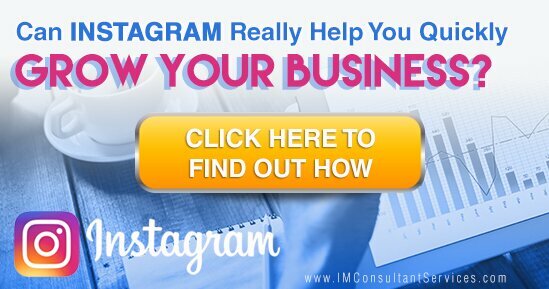 Then, getting an Instagram account may be exactly what you are looking for your business. Starting a business on Instagram could be a very effective marketing strategy for your business. Many businesses are already using Instagram as a way to reach more customers online. If you want to be one of them, then you should get to know the basics to make the most of this wonderful platform. With over 400 million Instagram users daily, 70% of them follows a business. There is no doubt this is the best social media platform to showcase your products. That’s why today I want to give you these quick and easy steps on how to create business account on Instagram so you can get started today. Setting up an account on any social media network is easy. Instagram primarily uses smartphones such as iPhone and android. It’s app-based which means you need to download the app in order to get started. This is unique compared to other social media networks where you can still post through other means aside from using the mobile app. So pull out your smartphone, look for Instagram in your app store and then download. Once the app is installed on your mobile phone, tap to open it. After downloading the Instagram app, you must create an account with your email address. You can either sign up using your own email address or login using your Facebook account. I suggest that you use your own email address instead of logging in using Facebook. This is to avoid giving out your personal information that is based on your Facebook page. Since this is for your business, you should be using your business email address. This way, everything you will post on Instagram will only be related to your business. Once you have created your Instagram account for business, you will be asked to create a username and a password. Your Instagram username should be relevant to what your business offers. This is in order for your followers to remember you easily. Your username should match the username of your other branded social media profiles. Your Instagram profile photo should have something to do with your company. It can probably be your company’s logo. Having it match your other profile photos will also help get discovered easier since people who follow you on Twitter or Facebook will instantly recognize your brand. Your Instagram profile picture will be cropped into a circle on the app, so make sure you choose an image that will look good in that shape. On the next screen that will prompt you, enter your full name and phone number. Remember to use your business name as your username and also as your full name. This is to provide clear and consistent information and not confusion to customers. Also, enter your business phone number where you can be reached. Find contacts from your Facebook social media account by tapping on the “Find Facebook friends to follow” or to “Find contacts to follow” options. But let’s skip this option for now as those you have sent a request will not be able to see anything on your account yet. Now that you’re finally in the app, the home screen is the first screen you’ll see. It is on this page where photos will show on your news feed from people you follow. On the bottom of the screen, you can see Home, Search, Camera, Notifications, and Profile. Each has its own function in the Instagram app. Its features are very user-friendly, you surely will get to know them better as you use it. Having a good Instagram business account does not end up by just placing your basic information. This is where your followers will be able to know what your business is all about aside from seeing your posts. Personalize your profile by clicking on the Profile button. It will give you an option to “Edit Your Profile”. Fill up all necessary information that will show once your followers view your profile. If your business has a website, indicate it in the website field so your followers could check it out as well. This is a great way to cross-market your business and it is the only place on Instagram that allows you to add one URL…. so make it count. Instagram primarily uses photos or videos in every post. You might want to share the same content as well in your other social media apps like Facebook or Twitter. Fortunately, Instagram offers a feature that can help you do this easily. You can reduce the hassle of opening each social media account just to post the same content. That would save time and effort. You’ve heard that a picture is worth a thousand words, so let’s use this power to its full, customer-hooking advantage. By posting photos or videos on your Instagram, people will be able to see something on your profile. This can be a good start to get followers, more probably potential customers. Just click the camera icon and start taking pictures. By posting good quality photos, potential customers may end up opening your profile and your website. This would mean more customers and more sales. A great photo makes a great Ad. So take the time to create good quality photos by using your mobile phone. You can have the photo edited by a variety of filters you can choose from. You don’t need to download another application to edit your photo, Instagram has it ready for you. All you have to do is decide on a look and feel that represents your business. Use creative captions when posting something on Instagram. This way you can get your customers’ attention by not just through the photo but also through its caption. Instagram feeds change fast, and your content can get buried quickly. Use hashtags to increase the shelf-life of your Instagram posts. It makes your content discoverable (is that a word? lol) and increases your chances of engagement. Start sharing your Instagram posts to your linked social media accounts. All you have to do is click the three dots on the upper right-hand corner of a photo you posted. You can choose either “Edit” or “Share”. You can click on Edit first to change your caption and then click on Share if you’re ready to post it on other social media platform. Now that we have tackled everything from creating a business account on Instagram, you’re now ready to follow people and be followed back. Just tap Profile and gear icon on the bottom right corner. You can either choose to “Find Facebook friends” from facebook alone or “Find Contacts” where you can just use your friend’s email address or name in the search box. Click follow to start following or wait for your request to be approved by those who uses private accounts. You now know how to create business account on Instagram. With the growing popularity of Instagram, it helps to tap into the growing popularity of Instagram. You can reach a wide range of target audience and get more followers. You can also promote your products and services through photos you post and share across other social media platform by linking your accounts. 1. Why Is Instagram Good For Business? “Why Use Twitter For Business?” written by Mike Marko. Question: Why Use Twitter For Business? Twitter is an online social media platform where users post and interact with messages called “tweets”. Each tweet is limited to 140 characters that would show on your profile and news-feed where others will view it as well. Just like Instagram and Facebook, Twitter also has a profile and news feed features. What differs is that Twitter doesn’t have as many buttons to click. Unlike Facebook, Twitter is very plain… but plain in a good way. It also has a follow feature where you can follow the people you like and keep track on what’s happening with them. In return, those who are following you will also get updates about you. As statistics show that there are over a 100 million active users of Twitter daily. Not to mention the 500 million tweets sent each day. That alone as a business person will give you the chance to succeed in your business. Imagine this wide range of target audience and potential customers that you can reach by simply having a Twitter account. Are you wondering why you should use Twitter for your business? In the tough competition between businesses, it’s not enough to do business traditionally anymore. Many companies have already seen the benefits of using social media to promote their business. If you want to stay on top of the game, then you should also consider using the social media as well. Twitter is a great platform to use for advertising, connecting and branding your company to people. Let the people discover things about you and what your business can offer through Twitter. The information you post about your products/services is basically the reason why you have this social media account. With Twitter it allows you to build a connection between you and your customers. Through Twitter and the appropriate use of hashtags and tweets, you will be able to know what they think about your business. Twitter is a good channel to hear your customers sentiments about your company. You may be getting some negative comments or compliments but it all boils down to providing better services. Remember, communication is a two-way process. So you need to create a connection with your customers and Twitter can be a bridge for you..
Just like all other social media platforms, Twitter can help you promote your brand online. By tweeting posts with images or linked pages, customers will be able to learn more about your brand. With twitter, you can present and develop the kind of image that attracts your potential customers, and define your brand. Twitter can help people notice and recognize your brand/ logo or company image. Twitter lets you deal with complaints or helping people find out more information about your product. At the same time, this is also the best chance to interact with your customers. Their feedback will help you improve the quality of your products and services. In general, you can create customer service satisfaction that can also lead to having your business succeed even better. Twitter marketing allows you to reach your followers from around the world and alleviate the distance barrier. As stated above,Twitter composes of hundred million users daily which means it’s giving you the chance to share your business online at no cost. Twitter has proven to be an excellent tool in the marketing world where revenue is the only thing people tend to see. This will serves as an additional weapon in your company’s marketing strategies. It is no doubt, Twitter is doing a great job in marketing. Moreover, it can also be used to communicate with your customers. Remember, the main reason why followers follow you is to be updated in whatever is happening on your business. In line with this, you will need to tweet regularly, otherwise, you might lose your customers. Twitter allows you to share valuable information with your customers at times that matter most; weekend sales, promotional deals etc. Promotional offers have always caught the attention of many customers. It is through giving out coupon codes and offering promotional deals that they get to save more. By doing such, you can announce it through Twitter and generate more sales in return. Since this will show in your followers news-feed, they might join your promotion or contest and also retweet them. This means, your business will reach out to your customers followers and get more attention, eventually, more customers. Through social media such as Twitter, it creates a perfect environment for a ripple effect to occur with the perfect piece of shareable content. This means if your posts are being retweeted or hashtagged on Twitter, you get a wider range of target audience. It creates a domino effect that can result to a more successful business. Once your business go viral, you can use your popularity as a marketing strategy for your business. Connecting with your customers is just one part of the equation. Twitter also allows you to listen to customer feedback and complaints they may share publicly with your competitors. You can get advantage on this by offering a better product and service. Additionally, If you lack insight of your customers social behaviors, chances are your competitors may have done all the hard work and all you need to do is look for it. Let’s say you have quite a number of followers already and are still gaining more each day. As a marketing strategy, more customers or a wider range of target audience, means more sales. So knowing how to use Twitter effectively will help boost the sales of your business. According to Mashable, Dell is one of the companies that increased their sales by using Twitter. The increase in their sales reached up to $6.5 million. One way of having a loyal customer is by sending them a personal message after following you. This will let them feel they are valued and in return increase the trust and appreciation they have for your business. To keep them, you must respond to their queries as fast as possible. Make sure you that you always give them updates, and you are always there to help them regarding their needs. There you have it! We’ve answered the question, “why use Twitter for business“. There are so many things you can get from Twitter. Almost all of the features can help you grow your business. Give these tips a try and let me know what you think. And please feel free to tell me your own thoughts and advice in the comment section below. Article: Why Use Twitter For Business? Posted in Twitter MarketingTagged Mike Marko, Twitter, twitter for business, why use Twitter for businessLeave a Comment on Why Use Twitter For Business? Why Is Instagram Good For Business? “Why Is Instagram Good For Business?” written by Mike Marko. Are you looking learn more about Instagram, and ultimately determine “why is Instagram good for business“? When we started marketing online, we didn’t pay Instagram too much attention. We were primarily focused on Facebook because that was what we knew. Instagram is a great way to help build a business using the internet. It’s one of the best social media platforms if you’re trying to reach a national or worldwide audience. What makes it more attractive is that users on Instagram are more active than any other social media platform, but there are a lot more Instagram benefits. But let’s get back to the real question: why is Instagram good for business? Question: Why Is Instagram Good For Business? Instagram is a social networking app made for sharing photos and videos from a smartphone. It behaves similar to Facebook or Twitter in that everyone who creates an account has a profile and a news feed. When you post either a photo or video on Instagram, it will be displayed on your “wall”. Other users who follow you will see your posts in their own feed. Likewise, you’ll see posts from other users who you choose to follow. With more than a hundred million of Instagram users actively posting forty million pictures within a day, imagine the number of people that you can reach to promote your business. With this big of audience, Instagram could be a great way for your business to reach your customers. But there are more reasons as to why is Instagram good for business. Instagram is primarily a photo social media platform. Users mostly share photos. That means users see a lot of photos from people they follow. So how could your photo rise above from anyone else? That’s where your creativity can come into place: you need to have your photos and images stand out and look better than others. With more interesting photos, people will be more likely to visit your profile and get more interested in the products your business offers. Always remember, a good photo will create potential customers. Instagram is a great way to build a business brand just by sharing good quality photos and videos. It helps you to get connected with a number of potential clients very easily. Facebook growth has plateaued. Instead Instagram is currently growing faster than any other social network. As a business owner, it’s always important to stay ahead of the curve and to quickly adapt to changes in consumer trends. When it comes to consumer trends in social media, Instagram is the hottest thing going right now. Customer participation in Instagram is one of the strategies that businesses use to enhance the organizational relationship with its target audience. This involves both existing and potential new customers. This is a strategy that mainly includes a free exchange of opinions and experiences… for examples customers take a selfie with the product brand and post it. A business can run photo contest increase customer participation. Through this, your followers’ followers will be able to notice your brand, thus increasing your brand exposure. This has been proven as an effective tool for increasing sales. Through the photos you post on Instagram, your followers will be able to know more about your business brand. This helps build trust in the products you are marketing online. People need evidence. They believe in the things that they see. If they see how reliable your product is then you will eventually gain their trust. Final Thoughts On Why Is Instagram Good For Business? I expect you now understand the answer to “why is Instagram good for business”. With the growing popularity of Instagram, it helps to tap into the power of Instagram. Posted in Instagram MarketingTagged Instagram, Mike Marko, why is Instagram good for businessLeave a Comment on Why Is Instagram Good For Business? “Key Tips About How to Market your Business on Twitter” written by Mike Marko. Are you looking to learn how to market your business on Twitter? Since then I learned the tricks to making Twitter work very effectively to build our business. It’s now one of my favorite marketing platforms. So before you give up on Twitter like I initially did, let me tell you how to marketing your business on Twitter… effectively. Businesses are discovering social media sites as a good way to market their products and services. One of the forerunners is Twitter. Twitter has become a very effective tool for marketing. It can be used to proactively promote your brand, generate leads and promote company events. With this, you can also engage with your customers and prospects in real time. It is undeniable that a lot of people use Twitter to interact online and it continues to grow bigger as time goes by. Along with it comes tougher competition as well as other businesses found advantage of this social media to also promote their business. With all these businesses competing in this platform, you may ask yourself “how can I market my business here in Twitter?” Well, I have just the right answers to show you how to market your business on Twitter…. First things first.. you’ll need to spend much time customizing your profile making sure your business will be easily recognized. Create a profile picture that represents your brand. You may use your business logo as one. Use your brand name as your Twitter username for potential customers to easily find your business. This would also allow them not to be confused of which is which from using different names. Add your brand name in your twitter bio so customers will be able to read it directly from your profile. Add your business website’s URL to your profile for easier reference. This is for customers to know more information about what you can offer them by going to that website. And… never forget to use hashtag using your brand name in all your tweets. By using hashtag, you will be able to trace all the conversations made for your business. These hashtags can be used in combination with other hashtags to reach out to new potential customers. This is a very important matter if you really want your business to succeed using this platform. Regular tweeting would reflect an active and healthy profile. Remember, customers follow you in order to be updated on everything about your business. Twitter is a community where people talk and converse in a daily basis. And as a business which offers products and services, not interacting on Twitter means no progress of your business. Just be sure you are tweeting relevant or useful information, content your followers will read. This can lead them clicking on it, retweet or tag as favorite. Keep in mind, think before you tweet! As a business trying to succeed using twitter, you may pretty much have to start from scratch. Since you are getting started, you may want to ask help from other people to help you promote your business and retweet your advertisements. You can start from your family, friends and colleagues by having them follow you. Once you have a few followers, don’t be shy about asking them to retweet, mention or favorite your tweets — or to share content with a fresh tweet. It is important to be on top of the trend. This would allow your followers to stay interested with what is currently going on and at the same time, market your brand. Look for trending topics and hashtags. Then, find a way to make a relevant connection to your brand. Being on trend always will make your business exposed to more audience. People are talking about certain topics, you have to interact with them and be with them then market your business to them. Think about offering deals and discounts on your Twitter account. A good example would be holding a contest to generate sales and market your product. You can have the participants Tweet a picture of themselves while holding your product. The winner may get a discount coupon on their next purchase. This is a great way to get promotion without actually spending money. You will get to promote your products to a wider range of target audience. This has the additional benefit that followers will start to look forward for more good deals and discounts. You might also get more followers because of this. Having multiple social media accounts is a good thing in promoting your business online. For Twitter, you can associate your account to your Facebook, Instagram or other social media to cross-market your products. You’ll find the time, effort, and frustration saved some of the most profound benefits of all. You can share what you post in Twitter to facebook or Instagram. This will allow your followers from other social media sites to stay connected. It might also interest them to look for your Twitter account and follow you from there. As you increase the number of followers for your Twitter account, you should be ready to answer all their questions. Be very well versed about your products and services… otherwise you’ll customers may hesitate. It’s not only about marketing your business, products and services; it’s also providing your customers the appropriate responses to their concerns. Keep in mind that product knowledge is an essential sales skill. Understanding your products’ features allows you to present their benefits accurately and persuasively. That means more sales and chances of getting retweeted by your followers. Customers are more likely to trust a business who shows confidence in the products they are promoting. You can build this confidence by increasing your knowledge of your products or services. There you have it! I’ve walked you through different ways on how to market your business on Twitter. Twitter has a lot of the features that can help you grow your business. Give these tips a try and let me know what you think. And please feel free to tell me your own thoughts and advice in the comment section below. “The Truthful Answer To ‘How Can Twitter Help My Business'” written by Mike Marko. Are you looking for the answer to “how can Twitter help my business“? Since then… I learned the tricks to making Twitter work very effectively to build our business. It’s now one of my favorite marketing platforms. How Can Twitter Help My Business… The Answer! Before we dig into the how… let’s first talk about Twitter and why you should even consider using it. Twitter is a social media platform. It has both a site and an application where users can easily interact. Statistics show that there are over 100 million active Twitter users daily. Additionally, over 500 million tweets are sent per day. For your business, it means posting your advertisements across Twitter or other different social media websites can actually increase your customers. It is inevitable that social media, including Twitter, have become marketing giants. Others can get in touch with you by just using hashtag followed by a certain topic you want to emphasize… Hashtagged words that become very popular often lead to Trending Topics. 75 percent of followers are actually buying their products online. And 86 percent of followers are visiting a recommended business, while 85 percent of followers felt satisfied and attached to a product if they received an interaction. Just like Instagram and Facebook, Twitter has a profile and news-feed feature for its users. What differs is that Twitter doesn’t have as many buttons to click. Unlike Facebook, Twitter is very plain… but plain in a good way. This allows Twitter users to focus on the content instead of struggling to find and understand features like with Facebook. And just like Instagram, Twitter also has the follow feature. This is where you get to automatically see posts of those that you follow in your feed. The massive amount of Twitter users made the social media platform popular. Today it’s no longer just about telling your friends where you are and what are you doing. Twitter transitioned to a platform that helps keep track of the latest trend, updates, and news. This is something good not just for common users… but also for business owners. Now that we’ve talked about why you should consider Twitter, let’s dive in and answer the question, how can Twitter help my business. Since you can almost do anything in the internet, why not become a leader? Share your knowledge and interact with everyone who is interested. Having discussions with your targeted audience can result to exchange or trade of knowledge. You will eventually learn the things that they already experience and the same thing will happen to them. Having your own Twitter account will help you promote your products in the market. As simple as posting what your business offers can go far away. It can even cross other social media platform through sharing your content and using proper hashtags. Social media isn’t about blasting your company’s sales pitch on social. It’s a two-way channel where you have the opportunity to enrich relationships with your customers. Many business owners had failed in this part. First of all, ask yourself. Why do you join Twitter? If you think that it’s because you’re going to promote your business then you are wrong. You join Twitter because you need to interact with your customers. You need to build a relationship with your followers; they are your future customers. Never forget the 80/20 rule. 80 percent of your post should be about the things that your customers are asking you, listen to their questions and demands. The remaining 20 percent is about promoting your product or services to them. Through your Twitter account, customers can get in touch with you directly. It can be used to respond queries quickly and easily.This will later lead to building a good reputation for your business and better relationships with your customers. When you have a social media account, you make it easier for your customers to find and connect with you. With Twitter, it helps you extend your reach out there where competition is utmost ongoing. Twitter helps you raise your business profile by getting your brand known to the market. More customers, simply means more sales. That was just the fundamentals of using Twitter to promote your business. There are no technical things mentioned in this article so it should be easy to understand. However, there are also a few things that you shouldn’t do. Few reminders are listed below to better guide you in promoting your business. Since Twitter is limited to tweet 140 characters at a time, it’s usually better to shorten your links. It is best to tweet out the original links where it may get picked up elsewhere and get the full benefit of being a backlink. Now if you normally keep your URL’s short like I do in most cases, then you may be able to get away with the full URL. If your URL’s are short, having the full URL will help build some trust as the visitor knows exactly where the link will send them (as opposed to a URL shortner like bit.ly). Always monitor what people are saying about your business on Twitter. Use the Twitter search function and search for your business to see what people say. Your followers perception about your business is very important. They can either bring your business up or down. As a business, you want to tweet things that are valuable to your target audience. By tweeting valuable links, quotes or facts, you’re more likely to get retweets, which will help spread your business account awareness. The people who will be following you are people who are interested in your business and products, so make sure the tweets are relevant. Stay focus on your business brand so followers will not get confused on what you really offer. There you have it! We’ve answered the question, “how can twitter help my business“. There are so many things you can get from Twitter. Almost all of the features can help you grow your business. Give these tips a try and let me know what you think. And please feel free to tell me your own thoughts and advice in the comment section below.